Listening skills are probably the most important weapons in a salesperson’s armoury, yet they are often overlooked in basic sales training. All too often I hear sales people so wrapped up in their own messages, they barely pause for breath. Meanwhile the prospective buyer is wondering where else to go and get what they really want. Most people think ‘selling’ is the same as talking. But the most effective salespeople know that listening is the most important part of their job. Most sales training is about structure, process, closing skills and other manipulative techniques. Have you ever had formal training in listening skills? 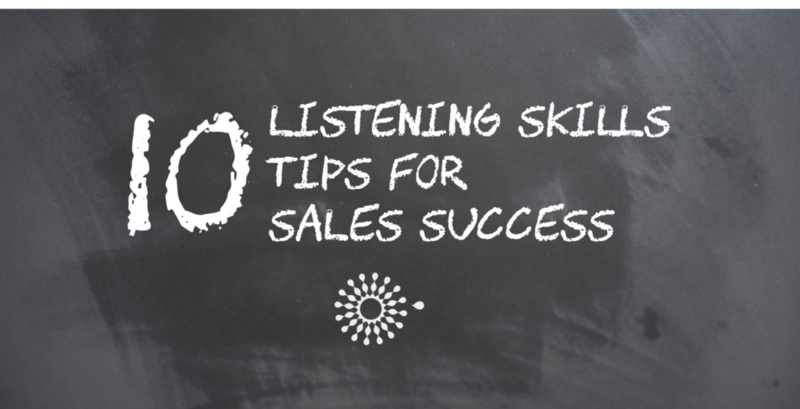 What’s more, listening skills are vital for all types of sales people, whether you’re a telesales executive, a field sales manager, a national accounts manager or a sales director. In fact, anyone who interacts directly with customers and/or prospects. …. with the typical salesman, the ability to talk will almost take care of itself, but the ability to listen is something in real need of improvement.. It has been said that over 60% of business problems relate to poor communication between people. Poor listening skills can result in mistakes, misunderstandings and mistrust. And this relates to people in your own business. Think about how much more important it is when you’re trying to sell to someone you may not know well, or even at all! Sales people tend to be out-going, lively and positive people, with plenty of ideas. That can often mean they are eager to talk about whatever they’re selling. Buyers, on the other hand, find this exuberance stressful and de-motivating. Why? Because the customer always wants to feel in charge of the conversation and has requirements that need to be met. Their time is precious, too. The solution to resolving this difference is for you to slow down. The objective at the start of all sales conversations is for you to understand the buyer’s needs. You don’t get that information by talking. Ask questions to shape the conversation and let the customer do most of the talking, at least at the early stage of the conversation. Getting the customer to do most of the talking was the first step; now the challenge is to demonstrate your listening skills. This goes beyond just being a better listener, it’s about demonstrably listening. using non-verbal methods to demonstrate understanding (nods, ‘grunts’ of approval, etc.). Active listening in this way demonstrates your concern and interest in finding a solution to the customer’s situation/problem. Just listening to the words will only convey part of the message. A lot of the importance, urgency and relevance of the content comes from non-verbal signals. If you’re with the customer, it’s body language you should look out for. And to acknowledge it, react with your own, appropriate body language. For telephone sales conversations listen for tone and volume changes or speed of speaking. These indicators give you an idea of how your prospect is feeling. It’s a good idea to make a point after the conversation to try and focus on what is not said as much as what is, to get into the habit of developing your emotional listening skills. It’s the questions that you ask that determine the flow of a sales conversation. If you don’t understand the problems, how can you offer a solution? When you want to explore perceptions, opinions or find out about the organisation, ask open questions that elicit full answers. What, where, why and how are great openers. As are ‘Tell me about …’ questions. The customer will be developing more and more trust in you, the more you encourage him/her to speak and you use your listening skills. When you’re ready to move on to a new topic or stage in the sales process, you should use closed questioning. Closed questions help you to elicit shorter, yes/no responses. Not only is interrupting your customer rude, you’ll probably miss something important in what’s being said to you. Don’t be afraid to leave silences in the conversation. Many people feel an overwhelming urge to fill conversational gaps. As a sales professional, you should learn to resist these urges. It’s a great way of enticing more information from your prospect. Similarly, don’t disagree with the prospect unless the opportunity to debate is offered. Often when we hear things that we disagree with, we immediately start to think of ways to rebut. What this does is to close your mind to anything else being said until you formulate your argument. So, at that point you’re not listening. Clearly a bad thing in sales terms. 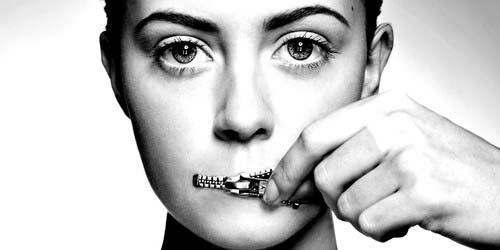 Just as you shouldn’t openly disagree with a prospect, try to remove any filters you may have on listening. Try not to focus on closing the sale until the time is right. Up until then, let the buyers speak, even if they can’t quite express thoughts in a way that you’d like. Closing your mind opens you to the risk of missing subtle nuances or inferences that can make the difference between a sale or no sale. Listening with an open mind shows that you are genuinely interested in helping the customer. Try to avoid giving the opportunity for an unhelpful answer. Often this means don’t try to push your agenda onto the client, you’re trying to engineer the discussion towards a buying decision, so the buyer must be able to explore all the options and understand what your business can offer. Obviously use facilitating questions; help to reveal the buying criteria, the buying process, what’s missing, obstacles, decision-making factors, etc. – to help the buyer, not to gain ‘leverage’ for you, the salesperson. Crucially questioning must aim to help the buyer understand his/her own issues and way forward. Also, try to listen out for solutions, rather than problems. The buyer may guide you towards an acceptable outcome. Take notes as you go. You’ll need them later in the encounter or possibly at a future occasion. (see active listening, above, too). Remember that both you and the buyer are after information at the early stages of your discussion. You want the buyer to be talking most of the time. Target 80% of the time being the buyer talking and you only 20%. I always treat listening skills as one of the most important aspects of my sales training programmes. This applies to telesales as well as it does to field-based sales executives or account managers. For more information on bespoke training programmes, contact me via email without delay, or call +44 (0)7508 164333.